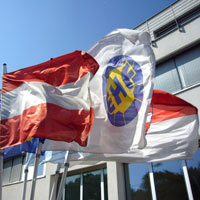 Case followed incidents from EHF EURO 2012 Qualification game. The disciplinary body of the European Handball Federation, EHF Arbitration Tribunal, has dealt with the matter of a National Federation. During the Men’s EHF EURO 2012 Qualification Round 4 game in Group 4 between Montenegro and Israel, that took place on 13 March 2011 in Sportski Centar Nikšić, Montenegro, incidents that caused a delay in the match throw-off and several temporary interruptions of the match occurred. The Arbitration Tribunal made a decision in the case and fined the Montenegrin Federation for the sum of 10,000 €. In line with the EHF Arbitration Regulations, a statement of claim may be filed with the EHF Court of Arbitration within 21 days.